Two important cultural events will form a symbiosis this year. On 7 July, the finals concert of the renowned International Hans Gabor Belvedere Singing Competition will open the most important music festival of Austria’s state of Carinthia, the Carinthian Summer Music Festival, which is also celebrating its 50th Anniversary this year. Qualification rounds for the 38th International Hans Gabor Belvedere Singing Competition kick off on 5th of March in Toronto, Canada. Applications are possible as from 1 February. 1.125 participants from 78 countries competed last year in over 70 qualifying rounds around the world for the finals in the Latvian city Jurmala. In the end, 147 contestants won the chance to present their talent to an international jury comprised of representatives of the world’s most renowned opera houses. This is why the competition is so exceptional: The young singers are exclusively judged by artistic, opera and casting directors, who offer engagements to finalists every year. In 2018 renowned opera houses and festivals engaged 9 singers. This makes this competition so popular: it has already catapulted many young talents to international stardom. Stars like Angela Gheorghiu, Elīna Garanča, Marina Mescheriakova, Ildikó Raimondi, Joseph Calleja, Antonio Poli, Rachel Willis-Sørensen, Pretty Yende, Lise Davidsen or Aigul Akhmetshina, who debuted in Austria at the Carinthian Summer Music Festival 2018 and wowed as Carmen at the Royal Opera House Covent Garden London, are only a few of the Competition’s participants and winners. The first qualifying round will take place on 5 March in Toronto, Canada. In the subsequent weeks, among others, the Viennese State Opera, the Royal Opera House Covent Garden London and the Teatro Real Madrid will follow. Again, around 70 qualification rounds on all continents are expected until the end of June. Since 2013, the final rounds of the Belvedere Singing Competition, which was founded by Hans Gabor, long-standing director of the Vienna Chamber Opera (Wiener Kammeroper), are held in different cities. Thus far, these cities included Dusseldorf, Cape Town, Moscow, Amsterdam and last year Jurmala, and this year the Carinthian city Villach will be hosting. 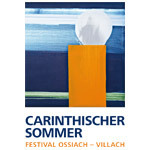 The final rounds will start on 2 July in Villach, one of the event locations of the Carinthian Summer Festival, which offers around 40 concerts from diverse genres from classic to Jazz and Crossover at different locations in the state of Carinthia. The main locations are Villach and Ossiach, where this music festival was also founded in 1969. “We are very happy to be able to combine these two important cultural events in one location this year. Thereby we offer the audience of the Carinthian Summer Music Festival the possibility to get to know this competition, which has already produced so many opera stars. And the finalists can experience the atmosphere of a festival”, say the competition’s managers Isabella Gabor and Holger Bleck, who is also the Carinthian Summer Music Festival’s director. The 12-15 young singers in the finals gala concert on 7 July will be accompanied by the Carinthian Symphony Orchestra (Kärntner Sinfonieorchester) under the musical direction of Alexander Joel.